The FBI “failed to preserve” five months’ worth of text messages exchanged between Peter Strzok and Lisa Page, the two FBI employees who made pro-Clinton and anti-Trump comments while working on the Clinton email and the Russia collusion investigations. Strzok and Page were significant players in the Clinton and Trump investigations. As deputy chief of counterintelligence, Strzok oversaw the Trump investigation when it was opened in July 2016. Weeks earlier, he had wrapped up his work as one of the top investigators on the Clinton email probe. Both worked on Special Counsel Robert Mueller’s Russia investigation until July 2017. But Strzok was removed after the Justice Department’s inspector general discovered text messages he exchanged with Page, with whom he was having an affair, in which both expressed strong criticism of Trump. In another more cryptic exchange, Strzok spoke of an “insurance policy” that the FBI sought to take out in case Trump defeated Clinton in the election. “I want to believe the path you threw out for consideration in Andy’s office — that there’s no way [Trump] gets elected — but I’m afraid we can’t take that risk,” Strzok wrote to Page on Aug. 15, 2016. “Andy” was a reference to FBI Deputy Director Andrew McCabe. Page left the Mueller team prior to the discovery of the texts. Johnson expressed concern over the missing text messages, which were sent during a key period of the Russia investigation. During that time frame is when the Steele dossier was published by BuzzFeed News, when Strzok participated in a Jan. 24 interview with then-national security adviser Michael Flynn, and when James Comey was fired as FBI director. Along with its disclosure of the missing text messages, DOJ’s Boyd handed over 384 pages of additional text messages exchanged between Strzok and Page. There are other revelations within the text messages. But in the cover letter accompanying them, the FBI notified Congress that many additional text messages are missing. 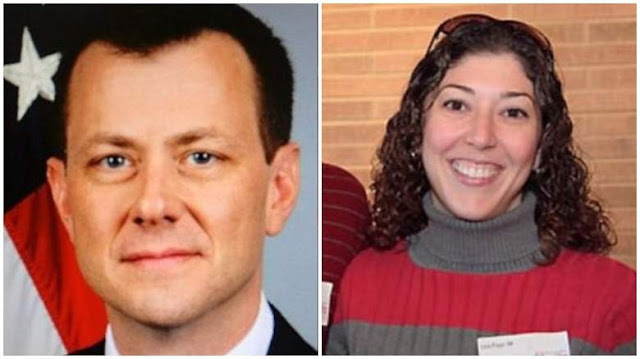 Strzok and Page communicated in a voluminous fashion via text message while allegedly having an illicit affair. Strzok was a key figure in the Hillary Clinton exoneration and reportedly interviewed President Trump's former national security adviser Lt. Gen. Michael Flynn (which resulted in Flynn pleading guilty to lying to the FBI). 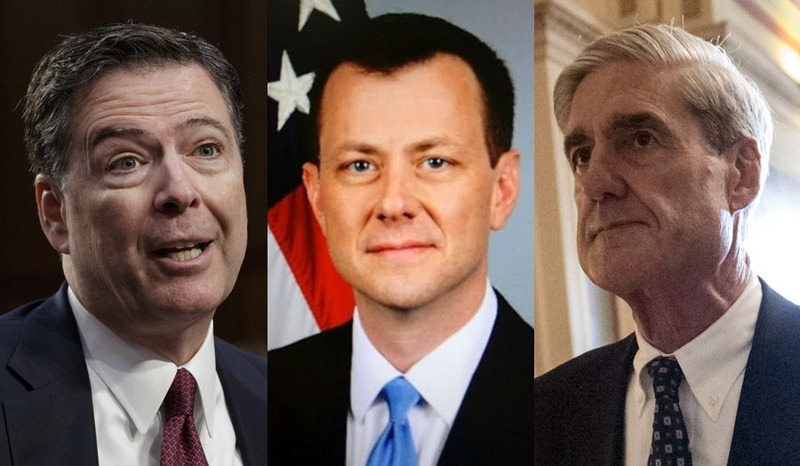 Until last summer, Strzok and Page were both members of Special Counsel Robert Mueller’s team investigating the allegations of collusion between Russia and Trump's campaign. The text messages seem to indicate that some within the FBI were making investigatory decisions based on Trump’s ascendancy among the Republican field of presidential candidates. 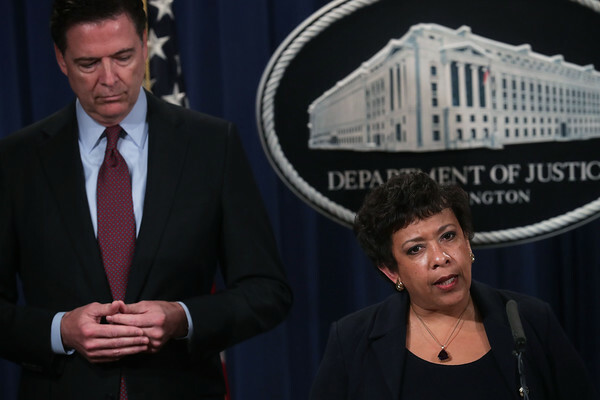 The text exchanges also indicate the FBI substituted, and then omitted, damaging language in FBI Director Comey’s July 5, 2016 statement that recommended Clinton not be charged. The original draft noted that Clinton had improperly used personal email to contact President Obama while abroad in the territory of sophisticated adversaries. According to the text exchange, an FBI official then removed President Obama’s name and stated that Clinton had simply emailed “another senior government official.” In the final statement as delivered by Comey on July 5, both references were omitted entirely. Other texts suggest Strzok and Page intended to subvert rules governing preservation of their discussions about FBI matters. In previous text messages produced to the House of Representatives, Strzok and Page discussed needing an “insurance policy” in the event Trump were to become president. Any neutral observer would have to be concerned about supposed missing evidence from a premier law enforcement and intel collection agency as well as the types of discussions and conflicts of interest apparently at issue with key officials within the FBI. It’s one more piece of a developing story that unfortunately points to alleged misconduct by some at top levels in our intelligence community. If the allegations bear out, it could have huge implications for a number of investigations handled by the officials in question over the past decade — not just cases related to the 2016 campaign.